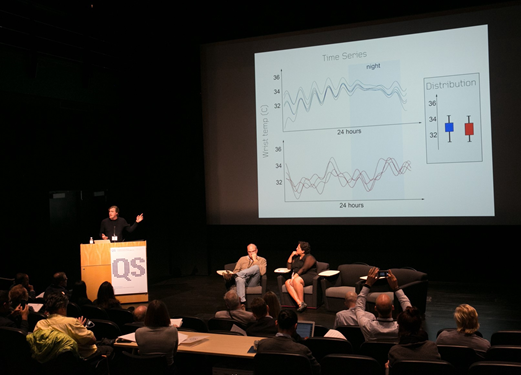 San Diego, California, April 2018, the Quantified Self movement worldwide gathered together to discuss cardiac health, and findings from a worldwide self-experimentation project that took place over the last year. The audience was made up of self-trackers, medical and research professionals, entrepreneurs, activists and tool makers. the results, and participants collaborated across nine countries. Over the day we got to hear from participants and researchers. High-frequency blood testing brought up new findings and even brought into question standard practices related to cholesterol and cardiac health. From the results cholesterol, values vary in cycles over the course of the day. When we wake. Or eat. Or exercise. And it’s not just over the day; it’s over the month for women while ovulating. It’s pre and post birth. And there can also be variance in fasting cholesterol values from day-to-day. You can see the overview, along with main conclusions by Azure Grant’s summary video here. Chronobiology is the study of how biology changes over the course of the day, or month. We’ve seen how cholesterol changes over 24 hours, but so do many other measurements. Our body temperature is lower at night. Cortisol is highest first thing in the morning. Women’s monthly cycles change everything over the course of the month. For the month’s post-birth, women’s biomarker’s can change radically. Carsten Starke gave an in-depth talk on chronobiology, and Benjamin Smarr spoke about how his body temperature changed over the day. And how a healthy person has smooth cycles over the day. And how a stressed or unhealthy person has a very different temperature profile. Benjamin Smarr speaking about body temperature variability over the day. (say for new drugs), where there could be hundreds of participants. This goes against what is done now in healthcare — drugs are developed and tested in larger groups. Individuals in those groups generally must meet specific conditions (no other medications, diseases, genetic abnormalities). Sunita Vohra spoke about n-of-1 trials in her clinic, where they tailor research methods to individuals, not trying to fit individuals to randomised trials. Sunita and her clinic provide a service to enable people access to quality tools that let people ask and answer questions relevant to themselves and their conditions. More Health-care. Less Sick Care? Getting real-time feedback on every aspect of our health, across the hours, days, weeks, allows us to change to more healthy lifestyles. More monitoring leads to better lifestyle choices — most of the modern diseases plaguing medicine are chronic/lifestyle related. With portable cholesterol testing devices, experimenters could see in real-time what impacted their cholesterol levels (a vegan diet lowered it, as did training for a marathon). Another example, Jeffrey Ray from Omron talked about how smoking increases blood pressure, and how you can see that in real-time with Omron’s Blood Pressure monitoring wrist-watch (vaping has the same effect). We can’t hide from real-time feedback — it’s an incredible motivator for change. The biggest blockers for better experiments and more self-ownership of our health is access to data and quality tools, where manufacturers deliberately limit access to data — and it’s not just wearable health trackers. Hugo Campos has had an implantable defibrillator for the last ten years, but is still unable to access data from — and spoke about some of the problems that this has brought up. There were many other challenges talked about during the day, including a talk on ethics in this kind of research, and how research can go wrong when done outside traditional frameworks (think Cambridge Analytics). Keynote speaker Larry Smarr spoke about how the underlying technology trends that are making new science, discoveries possible. Larry Smarr has been doing work on the microbiome after he self-diagnosed himself with Crohn’s disease (video on this here), and has been working on this for the last ten years. This cholesterol self-experiment is another example. Doing this kind of experiment, where participants were taking high-frequency tests, just wouldn’t have been possible ten years ago. Throughout the day there was talk about new devices on the market for better tracking. How groups are leveraging that data in new ways. One example, the research group ‘All of Us’ is collecting data from up to one million participants from standard wearable sensors to help with new clinical trials. None of this would be possible without the exponential growth of technology. Sitting in the auditorium and listening to the findings from the project, about all the discoveries going on, from people working at the cutting edge of these fields — the more I’ve realised how little we know about how the body works. How primitive the ‘single blood test per year’ testing model is. It’s collective experiments like the cholesterol testing done in Quantified Self, the n-of-1 tests and self-experiments that are advancing healthcare at this stage. Health research and new findings at the edges of medical science — connecting and advancing the field. The main takeaway for me? I need to be far more involved in the ownership of my health. New devices, research and communities like Quantified Self help us do that. And of course, I will always be looking for a second and third test before starting new treatments like cholesterol-lowering drugs! 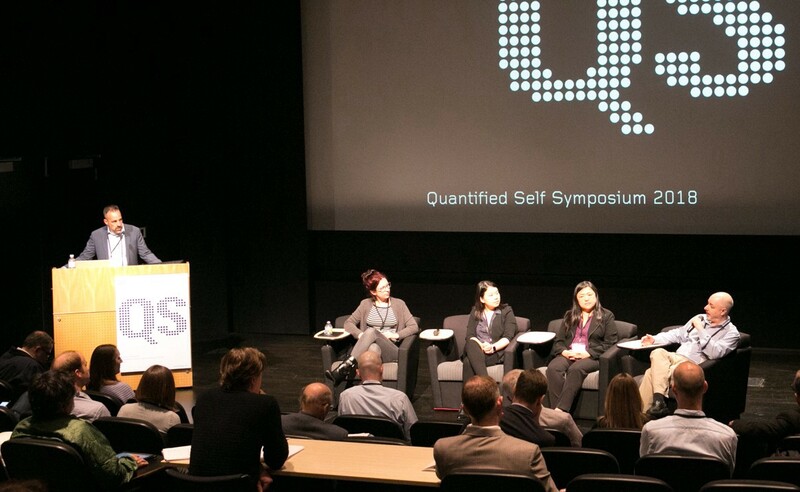 The Quantified Self movement is all about empowering individuals to make personal discoveries using everyday science. QS Cardiac Health Symposium videos and blog writers from all speakers. Quantified Self meet in Dublin through meetup. You can find their blog here here.